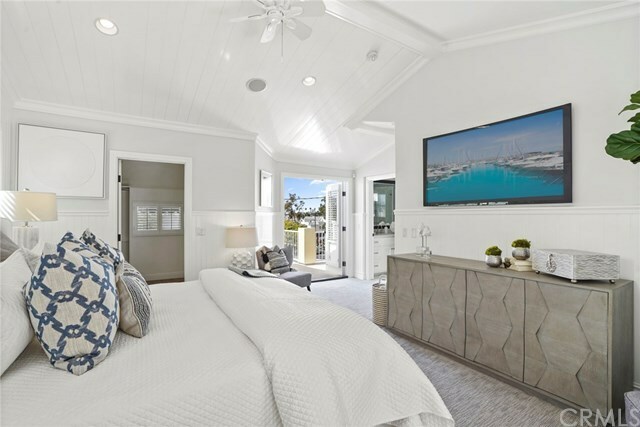 Centrally located, less than two blocks to Corona del Mar beach, this beach-style home provides luxury finishes in a functional fashion. Situated one home removed from Marguerite Avenue, allows for privacy and quiet enjoyment. Built in 2007, the home offers three bedrooms, two full baths, top-quality construction, hardwood floors, classic style architecture, custom woodworking, marble and granite countertops, and Viking appliances. The open main floor includes kitchen, family room, two bedrooms, and a full bath. The master suite encompasses the upper floor with vaulted ceilings and spa-like bath. An inviting rooftop deck with fireplace provides the perfect setting to enjoy relaxing sunsets and city light views. A short walk to Big Corona Beach, fine dining, coffee shops, grocery store, and boutique shopping, this home's walkability will keep you engaged in the pinnacle of Coastal Living.